Unlike MP3 files, all three audio formats below are lossless and preserve the sound quality of the original CD release. FLAC is a lossless compressed file format that yields smaller files with no loss of sound quality, but may not be compatible with all playback systems or software, most notably iTunes. Further information on each format is below the downloads. Meta data is included with the FLAC files and you can Click here for additional liner notes and album art. Download Alternesia as a single FLAC file and use the cue file to separate the tracks with an app such as XLD for Mac or Medieval CUE Splitter for Windows. FLAC stands for Free Lossless Audio Codec, an audio format similar to MP3, but lossless, meaning that audio is compressed in FLAC without any loss in quality. This is similar to how Zip works, except with FLAC you will get much better compression because it is designed specifically for audio, and you can play back compressed FLAC files on a wide variety of systems. FLAC is not compatible with iTunes however. For more information on FLAC, see Wikipedia. AIFF stands for Audio Interchange File Format and is an uncompressed audio file format standard used for storing sound data for personal computers and other electronic audio devices. The format was co-developed by Apple Computer in 1988 based on Electronic Arts' Interchange File Format (IFF, widely used on Amiga systems) and is most commonly used on Apple Macintosh computer systems. The audio data in a standard AIFF file is uncompressed pulse-code modulation (PCM). Compatible with iTunes. For more information on AIFF, see Wikipedia. Waveform Audio File Format (WAVE, or more commonly known as WAV due to its filename extension), is a Microsoft and IBM uncompresses audio file format standard for storing an audio bitstream on PCs. It is an application of the RIFF bitstream format method for storing data in "chunks", and thus is also similar to the AIFF format used on Amiga and Macintosh computers. It is the main format used on Windows systems for raw and typically uncompressed audio. The usual bitstream encoding is the linear pulse-code modulation (LPCM) format. Compatible with iTunes. For more information on WAV, see Wikipedia. 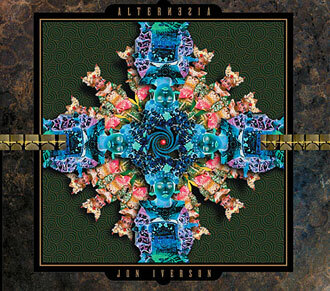 Alternesia by Jon Iverson is licensed under a Creative Commons Attribution-NonCommercial 3.0 Unported License.